Fox 3.0 Internal Bypass (IBP) Coilovers come pre-tuned from AccuTune Off-Road using AccuTune Equations, and AccuTune Double Flutter Stacks to give you the best performance possible. Fox 3.0 IBP Coilovers offer bypass performance in a coilover package. Fox Internal Bypass Coilovers use a unique design that allows for a high flow piston and tube with reed valves to provide position sensitive damping – just like a 3-tube bypass shock. Whether your limited by class rules or space constraints, Fox 3.0 IBP Coilovers deliver the performance you need. Step-up to Pre-Tuned Fox 3.0 Internal Bypass Coilovers from AccuTune Off-Road and feel the difference. AccuTune Off-Road delivers the best performing Fox 3.0 Internal Bypass Coilovers because of our experience with Fox shocks, AccuTune Equations, and AccuTune Double Flutter Stacks. The combination of our new techniques and highly accurate equations result in Fox 3.0 IBP Coilovers that substantially outperform the factory valving and semi-tuned valving sold by our competitors. With Fox Coilovers from AccuTune Off-Road your ride will be more comfortable and more controllable no matter what terrain you're on. Our 3.0 Fox Internal Bypass Coilovers come with free custom tuning, free spring swapping, and free disk swapping or free re-valve. 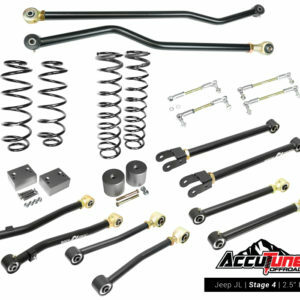 When you want the best Internal Bypass Fox 3.0 Coilovers look no further than AccuTune Off-Road. Get bypass performance in a coilover package. Fox 3.0 internal bypass shocks are a great choice for those wanting the best but are held back by packaging or class rules. 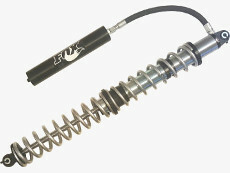 Fox 3.0 internal bypass shocks utilize a simple and effective reed valve design to provide position sensitive damping. The result is a 3.0 coilover that acts like a multi-tube bypass shock. 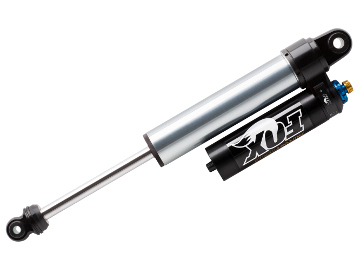 These Fox shocks also come with an incredibly strong stainless steel 7/8" piston rod for the ultimate in durability. 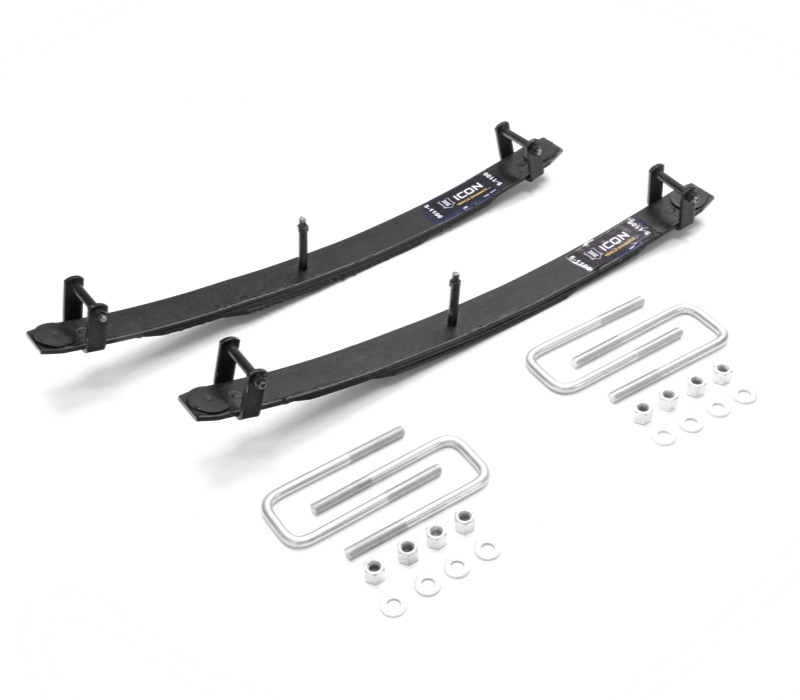 When performance and comfort matter look to AccuTune Off-Road and Fox IBP Coilvers to provide results. Remote Reservoirs take Fox 3.0 Factory Series Coilovers to the next level. The most well known benefits of Remote Reservoir Fox Coilovers are the added oil volume, and increased heat dissipation, but the benefits don’t stop there. Remote Reservoirs also provide better durability and improved ride quality by reducing the operating pressure of Fox Coilovers. Reducing the operating pressure substantially reduces friction which makes for a smoother ride, and increases seal life. Factory Series Fox 3.0 Remote Reservoir Coilovers deliver the ultimate performance and durability. 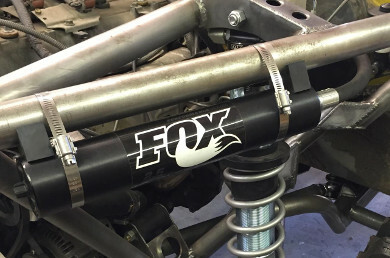 Fox 3.0 Remote Reservoir Coilovers are available with hardware for dual rate springs. 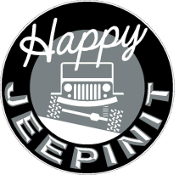 Fox 3.0 Coilovers with dual rate spring hardware improve perforamnce by allowing a soft spring rate on droop and for the first couple inches of compression, then a higher spring rate to prevent bottoming out. Contact us for more details and for help choosing springs for your Fox shocks. Fox 3.0 Factory Series Coilovers are made from industry leading off-road shock materials. The Fox 3.0 Factory Series Coilovers come with a very tuneable high flow piston that is well suited for a variety of vehicles. Fox 3.0 Factory Series Coilover shocks use high quality oil capable of up to 400 F so you can run harder and longer. Fox 3.0 Factory series coilovers come with high quality viton seals designed for durability off-road and extreme operating temps experienced by racers. Fox 3.0 Factory Series Coilovers from AccuTune Off-Road deliver excellent performance and durability for both racers and weekend warriors. Fox 3.0 Coilovers have dominated the top levels of professional racing for decades by providing quality and performance that racers rely on. 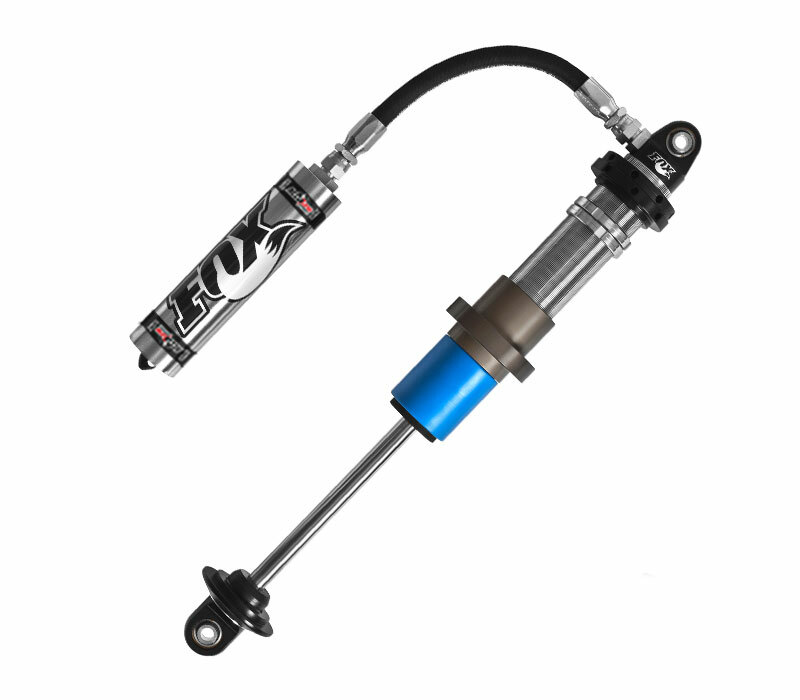 The same meticulous attention to detail, rugged construction and technically advanced suspension damping is applied to every Fox 3.0 Remote Reservoir Coilover. Leave the pavement behind with total confidence, and find out just how good your truck or Buggy can be with Fox shocks. Experience the ride you’ve been dreaming of with a set of Fox 3.0 Coilover Remote Reservoir shocks from AccuTune Off-Road.